Largely recognized as the world’s epicenter of innovation and new ideas, there is much to celebrate about the Bay Area — and the new technologies and creation that have such an enormous impact on how we live our daily lives. Whether it is tech giants Apple, Facebook, Google, Oracle, Uber, Airbnb, or the literally thousands of startups calling the Valley home, we can safely say that this particular land mass around San Francisco isn’t just a geographic axis point, but a cultural one. Far from the realm of geeky startup parlance, terms like “full stack,” “scale,” “unicorn,” “minimal viable product,” “go-to-market,” and “cap table” have now become commonplace, and even popularly satirized in shows such as HBO‘s Silicon Valley. However, while an increasing amount of the modern American economy and identity are crafted around technological advancement and innovation for the masses, there is an insidious homogeny not only of the oft-cited “tech bro” persona within the Valley, but of thought and culture. Some of the most glaring and chilling instances revolve around the gender balance (or imbalance), discrimination, and sexual harassment (and more) within the Valley. Most recently, an array of high profile, damning reports have bubbled to the surface of the national conversation. Last week, a Google engineer unleashed a running diatribe positing that biological gender differences make women less effective programmers and that Google should not actively work to improve diversity in staffing. In late June of this year, dozens of female entrepreneurs spoke to the New York Times regarding numerous instances of sexual harassment, unwanted advances, and sexist comments from individuals representing major investment and capital firms. Earlier this year, Uber founder and former CEO, Travis Kalanick, resigned amidst pressure from key investors and reports of widespread gender discrimination and sexual harassment. But before we simply assume that this is just a Silicon Valley problem, let’s think again. A July 2017 report from FiveThirtyEight makes the case that these issues extend far beyond the ‘bubble,’ and aren’t exclusively reserved to tech. The data is alarming, to say the least. Nearly one-third of women report that they have been sexually harassed at work. 25 percent of respondents have personally witnessed the harassment of the colleague. And 70 percent of individuals who experience sexual harassment don’t report it to their supervisors. It happens in Pittsburgh, too. There are plenty of tech bros here, and worse, stories (and less formal reports) that of the same instances of misogyny, gender bias, and sexual harassment. It’s tempting to unleash a bevy of speculation and guesswork about why these conditions exist, or to point fingers and lay blame on individuals or circumstances that make these cultural and behavioral conditions a reality in the first place. It’s not just tempting — it’s very tempting. But for every one of these reports, there are a dozen more opportunities and hundreds more people (both within and outside of the Valley) trying to make things better. As such, what remains most important is to foster accountability and leadership — as individuals, corporations, institutions, and as a community. Pittsburgh has an opportunity to reshape this narrative, and be proactive stakeholders in a much more robust culture shift that is long overdue. We must talk to each other about it, however difficult or uncomfortable that may be. Communication is key. By no means are we going to solve this problem in an afternoon, and many organizations and initiatives are dedicated to addressing these challenges head on. 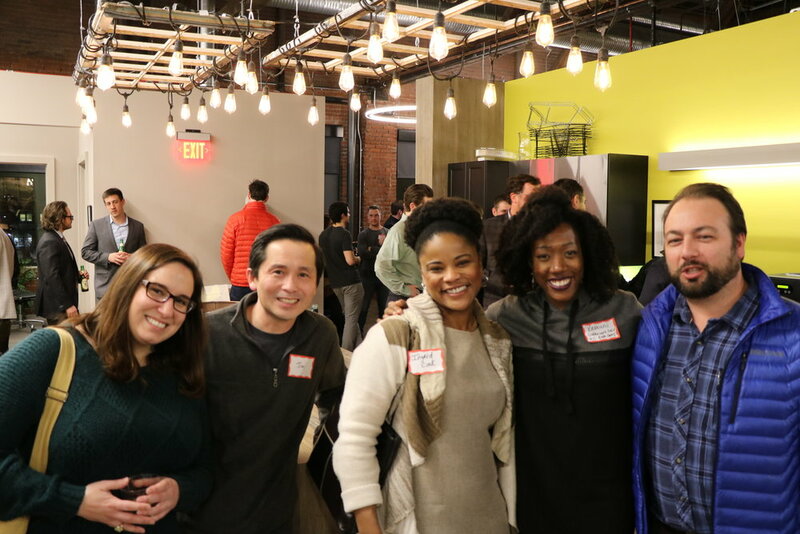 Black Tech Nation, WELD, Red Chair PGH, Women In Bio, Inclusive Innovation Week, Women & Girls Foundation, and Chatham University’s Center for Women’s Entrepreneurship are among the many excellent stewards of this important work just within our region. This doesn’t include the thousands of their colleagues doing the same throughout the U.S.
To boot, Carnegie Mellon University reports that nearly half of their incoming School of Computer Science and College of Engineering first year enrollees are women, compared to national averages of 16-20%. At Thrival Innovation in 2015, Dr. Drew Davidson, Director of Carnegie Mellon University’s Entertainment Technology Center, made a straightforward argument: diverse teams produce better results (read more HERE). This is all positive yardage — but we’re nowhere near the goal line. Yet. Creating a culture of fairness, inclusivity, equity, and opportunity will take years. But as Pittsburgh sits on the precipice of its own tech revolution, it’s time to come together and act as a unified community — to listen and learn from one another. Let’s take action and prevent our own bubble while we have the chance.